Website Design Notes Archives - Babilon Arts, Inc.
Babilon Arts was hired for the 9th year in a row to create the presentation graphics for Paul Mitchell the Schools FUNRaising Gala held on May 3, 2015. 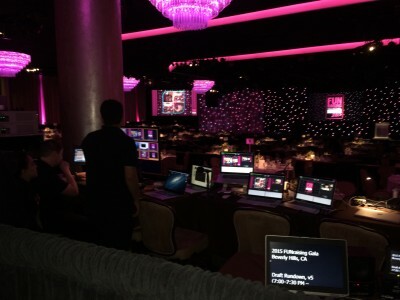 This year it was held at the Beverly Hilton in Beverly Hills, CA. We had 2 HD side screens and a high definition center screen to accommodate some alternate graphics as an option for changing out the backgrounds for the speakers and entertainers. The creation included a 97 slide loop for walk-in with a history of newspaper headlines announcing the money raised each year for the various charities. The main deck contained 77 slides for the top charity earnings. And the center stage contained 62 high def graphics and photos. Thank you for being part of our team. You make us look good and help us remain cool, calm (mostly) and always confident that we can prevail over all the crazy madness which is Gala! Always fun! Always surprising! Always rewarding! 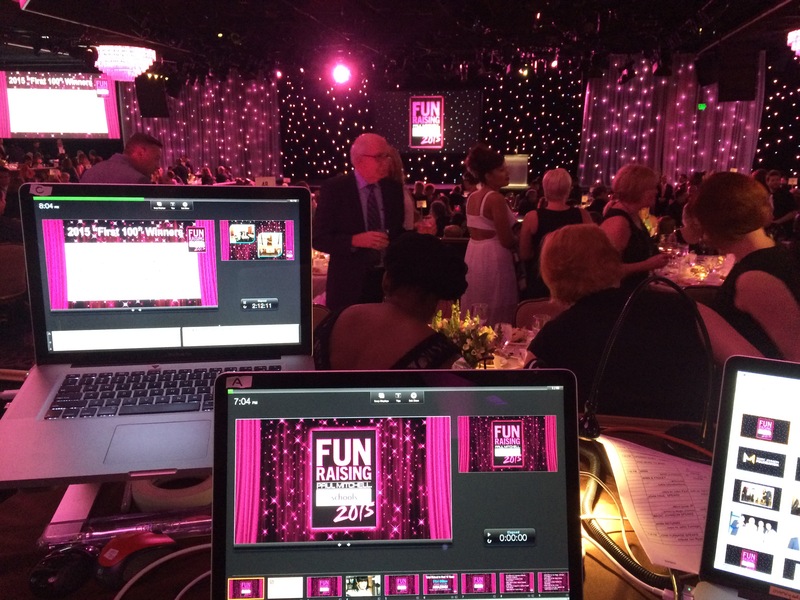 Thanks for all your brilliant work on the on the Gala…best ever!!! Here is a question many website owners are asking: Do I need to convert my Static HTML website to a WordPress (content management system) website? The answer is Maybe. There are benefits to both static HTML sites and WordPress sites. The first thing everyone needs to know is that WordPress sites continually need to be updated whereas a static HTML site can run for years without having to do any security updates or needing new versions. If you very rarely update your content on your website and you don’t have any functionality like a shopping cart or email form you may be happy with an HTML website. However, if your site is updated frequently for content and you have functionality like a contact form, or ecomerce then a WordPress site might be your best choice. In either case you need to make sure your website is mobile friendly as more and more users today are accessing websites through their mobile devices. WordPress websites offer many more benefits than you usually hear about. WordPress has become the new evolution of how web sites are constructed. Let us be reminded that a blog is a website…a website is a blog. There is NO difference. Some view that WordPress is at the heart of all their internet marketing and has paved the way for a new evolution of websites. Again, there so many reasons why WordPress websites are better than traditional websites for authors, speakers and business owners. Saving money is one of the best reasons to make the change. Making edits, adding audio and video to posts and pages yourself whenever you want will save in the long run from having to pay your webmaster. Managing your own content for your website is a great way to contribute to saving costs. You will also have greater accessibility to make changes or add content from any computer in the world, as long as you have internet access and a browser. If you are unsure about your website presence in today’s dynamic market contact us and we will help you to navigate your web presence to meet or exceed your business goals.